A University of Brighton power-bike rental service for staff and students took to the streets for the first time. 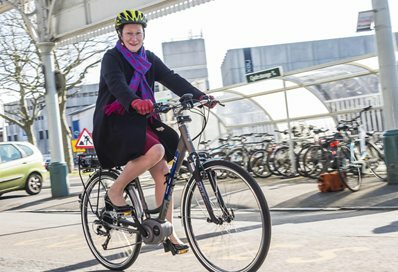 Tagged bike rental, e-bikes, Eastbourne, power bikes, Professor Anne Mandy, Professor Debra Humphris. Bookmark the permalink.